After graduating Santa Monica High and before applying to Architecture School, Barry worked for Architecture and General Contracting firms first, to obtain ‘real life/pragmatic’ experience in the field. This proved to be advantageous and, after sitting for the Entrance Exam, Barry was accepted to the #2 School Of Architecture in the U.S., Cal Poly, San Luis Obispo. Here he obtained his Bachelor of Science in Architecture, as well as minoring in Construction Engineering; having his son; and constructing apartments during the summers. These academic, well-rounded and energetic accomplishments were recognized by Hilton Hotels, whom hired Mr. Shaw for his first job in their architecture department. 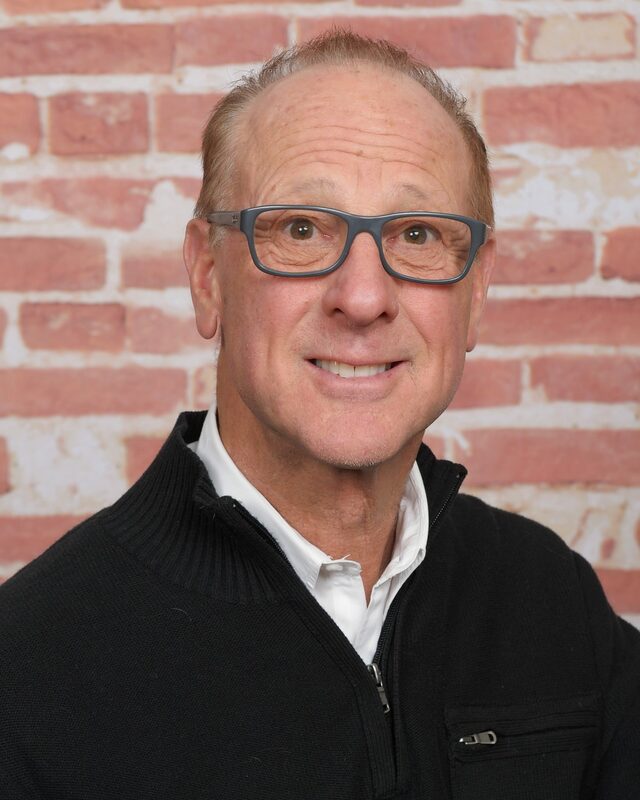 Seeking more construction experience, a few years later Barry joined the construction division of a commercial developer, building offices and mid-rise apartments. Following this, a CEO of a national restaurant chain consummated an offer with Barry, as Director Of Architecture & Construction in charge of their multi-state expansion plans. Additional experience constructing custom homes from 5,000-32,000 sq. ft., was attained with an established General Contractor. Throughout this process, Barry cultivated many design and construction resources, along with valuable experience working with building departments, engineers, material suppliers and design-build systems. Adjunct to working full-time, he passed multiple State Board exams and obtained his Architect and General Contractor licenses. Adjunct to his work, Barry created a Mentor program for high school students burgeoning to become Architects; is active in many different Trade Organizations; participates with Habitat For Humanity projects; won ‘LABC’ Mayor sponsored competition for design/construction/landscape project; designed and built a new ground up home for he and his wife and has been a contributing writer to various publications (insight to our residential home building expertise can be viewed in ‘Barry’s Blog‘). Whether it is a Luxury Home or Light Commercial project, in Colorado, or your choice State, we will meet or exceed your design and construction expectations. As written by client Jim B.: “Our appreciation of your talent is validated often by folks passing on foot and by car, stopping to admire both your architectural and landscaping prowess… And quality craftsmanship is abundant here, evidenced by everything from foundation and framing to fit and finish”. Also included in our service, is a personalized ‘partnership of trust’. As Client Joyce A. wrote after the construction Project was completed: “You were always there watching over my interest as well as being very conscientious and caring, as were all who worked for you on the job”. 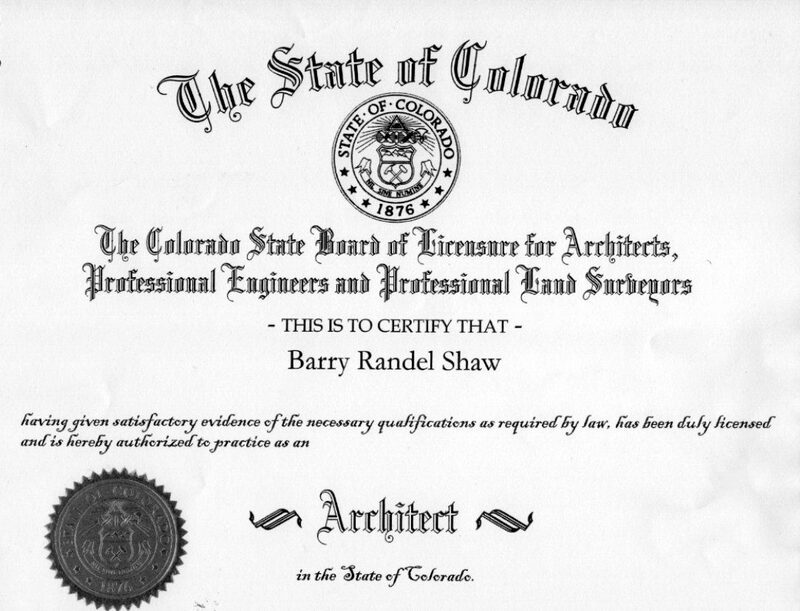 Barry R.Shaw is a practicing General Contractor with Class A (commercial and residential) license, Colorado resident and main office located in Broomfield. His experience with multiple building types provides his Client’s with an array of insight to customize construction techniques that are applicable to their specific scope of work requirements, for light commercial and residential projects. With (10) licenses throughout the U.S. as an Architect and General Contractor, an A+ surety rating, hands-on approach to scrutinizing the design, engineering and construction for each of our projects and 24/7 availability to our Client’s, we believe these are the keystone’s to our (25+) years of tenure. The proprietary design and construction systems created by BSA Inc., is certain to provide the Owner with predetermined accountability to deliver a project on-time, on-budget and with quality. As Client Paul M. wrote, “We were absolutely pleased with his timeliness, work performance and most of all the quality of his work”. Mr. Shaw is on the job coordinating his team of experts, almost on a daily basis. His selected team of local and extremely seasoned professionals, include second and third generation talent. “Barry proved to be very reliable. He has a fine crew of workman, all of whom do excellent work. They were very considerate and on time,” writes Peggy D.
Each set of plans and specifications is scrutinized by Mr. Shaw, well before submittal to the building department, ensuring the optimization of a cost effective, timely and quality project, as your local general contractor. Married with one spectacular son; Orbis International Children’s Charity Supporter; Habitat For Humanity Participator; Community Mentor/Intern Provider; International Travel Explorations; Poetry Writer/Winner; Landscape Designer; Varied Artistry/Photography Interests; Sports Car Driving Enthusiast; Captain and Most Valuable Player of Water Polo Team; Black Belt Martial Arts; Continuing quest for spiritual enlightenment and philosophical reading; love for dogs.